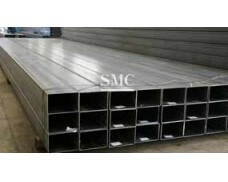 Grade: Q195, Q235, Q345, S235JR, etc. 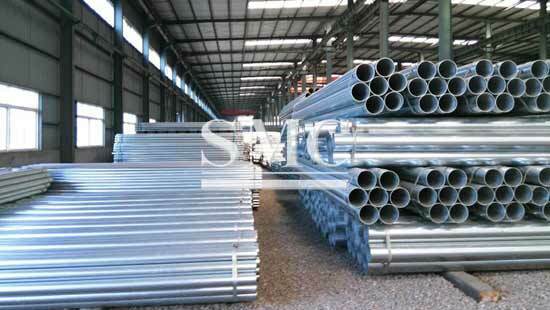 Galvanized Steel Pipe is coated by zinc that protects steel from corrosion. 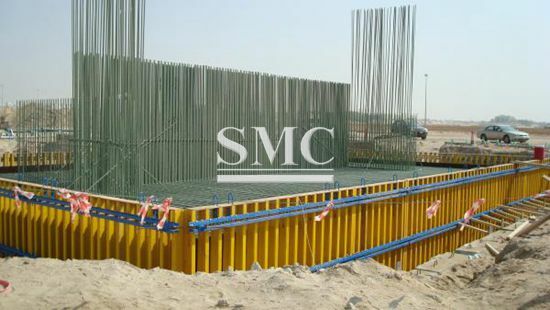 It can be used on both commercial and residential areas, including water system, fencing, air condition (HVAC), handrail and guardrail, etc. 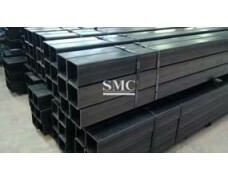 To satisfy the different needs, our SMC offers several of steel shapes and two types of materials for your choice. 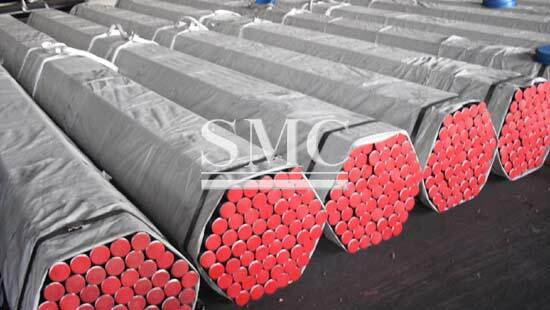 Shanghai Metal Corporation provides standard seaworthy packaging to worldwide customers, usually the tubes are packed in bundles, wrapped by plastic bag, fixed by steel strip, and then placed in the container with steel wire fixing. 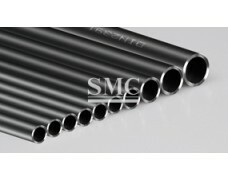 This type of pipe is not suited to gas lines, but was very commonly used for full, in-home plumbing until the mid- to late 1900s, when copper replaced it as the pipe material of choice. 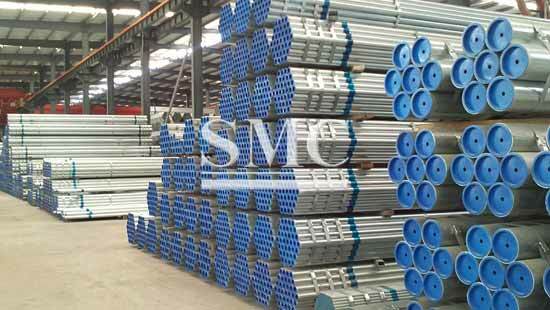 It was discovered at that time that lime scale buildup occurred faster in galvanized steel pipe than in copper or plastic. It is still sometimes used indoors for plumbing, particularly for the replacement of small areas of pipe, in which the flow will not be greatly interrupted by sections of lime scale. 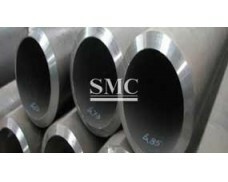 Outdoor applications are a more common use of galvanized steel pipe in the modern age. It is most likely to be seen on chain link fences or handrails. 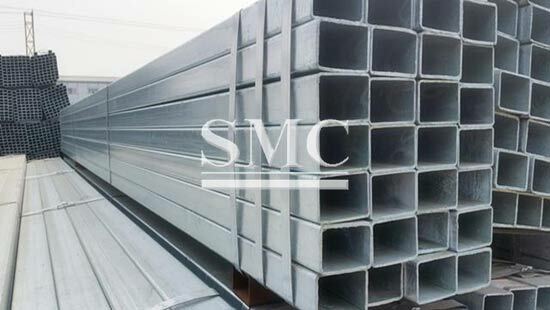 It is highly resistant to corrosion, which makes it a perfect choice for goods or materials that will be exposed to the elements on a regular basis. 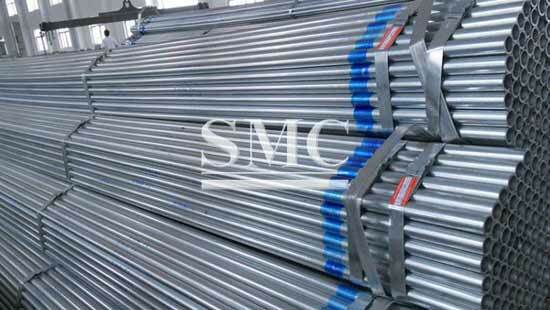 Galvanized steel pipe is generally connected by threads on either end of a length of pipe. A small amount of adhesive is typically placed on the threads before screwing them together, in order to reinforce the connection. 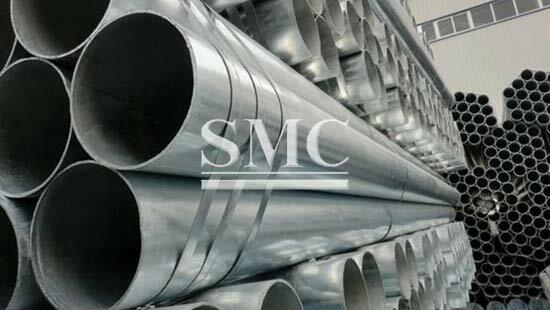 If no threads are available, the pipes and fittings can be welded together, although caution should be taken because the heat from welding can release dangerous zinc fumes into the air. 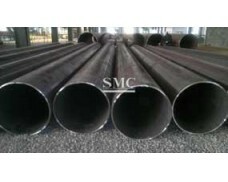 Pipes can be cut using a cutoff saw or hacksaw.